Google and LEGO have teamed up to create a free building block simulator app playable for free from the Chrome web browser. The Build app is easy and intuitive to use. You choose the type of block you want to use, its color and how it should be oriented. Blocks can be stacked on top of each other in any configuration real-world LEGO physics will allow. There are also special pieces like doors and windows – all in LEGO style, of course – to complete your structure. You can sign in with Google+ to save and share your creations and to view other peoples' works of blocky art. I'm a huge fan of the building blocks and the LEGO video game series, so it should come as no surprise that Build is something I had a blast playing around with. You get a lot of the basic fun and creativity of LEGOs all in this one free, simple web game. Best of all, in this version, there are no tiny plastic pieces to step on in the middle of the night. It's great fun for the whole family – just be careful with Google+ and your privacy. 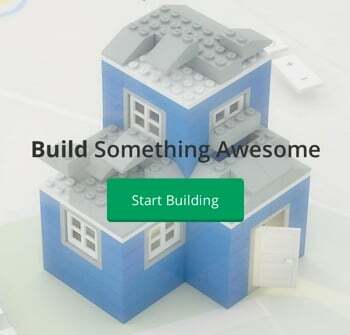 To give Build a try, visit buildwithchrome.com using the Google Chrome browser. I’m interested in building lego online. I went to the Chrome site and it said I couldn’t add any buildings after Jan. 1, 2017. I’m confused-contract expired? Is there a website where I can build lego creations online for free? If so, would you be kind enough to share info on that? Also, I noticed that there didn’t seem to be any step-by-step tutorials that I could find on the Chrome site. Is that what I can expect at a typical lego online building site, if in fact there is such a site? Thanks..Rob H.
This was an experiment between Google and Lego and, like a lot of Google “experiments”, it appears to no longer be supported. You could try exploring the Lego Life app: https://www.lego.com/en-us/life. It won’t give you quite the same features, but there is a lot you can do with it to engage creations with the larger Lego community.